"Nowadays surgery was normally done by autodocs..."
Although most science fiction fans associate the autodoc with his 1970 novel Ringworld, the first appearance is in The Warriors, a 1966 story by Niven. But now, we have reassurance for human doctors - you're not obsolete yet. In a study done at Harvard Medical School, it appears that Docs much bettter than internet or app-based symptoms checkers. The findings, published Oct. 10 in JAMA Internal Medicine, show that physicians' performance is vastly superior and that doctors make a correct diagnosis more than twice as often as 23 commonly used symptom-checker apps. The analysis is believed to provide the first direct comparison between human-made and computer-based diagnoses. Over the last two decades, computer-based checklists and other fail-safe digital apps have been increasingly used to reduce medication errors or streamline infection-prevention protocols. Lately, experts have wondered whether computers might also help improve clinical diagnoses and reduce diagnostic errors. Each year, hundreds of millions of people use Internet programs or apps to check their symptoms or to self-diagnose. Yet how these computerized symptom-checkers fare against physicians has not been well studied. I think that the science-fictional idea of the superior machine intelligence will ultimately triumph. 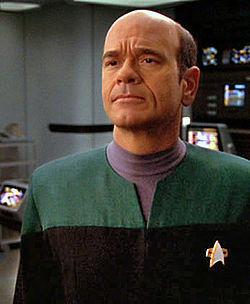 Science fiction movie fans may be thinking of The Doctor, the Emergency Medical Hologram from Star Trek Voyager. The EMH is a computer program that treats patients when medical help is otherwise unavailable.